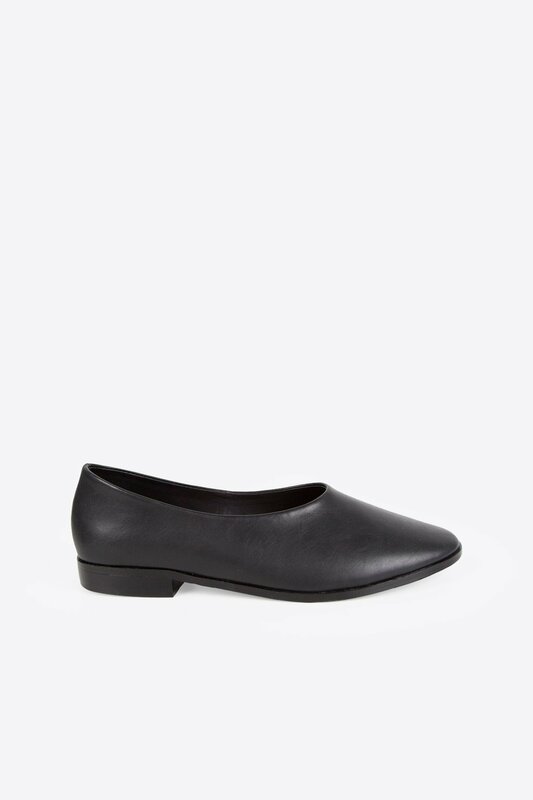 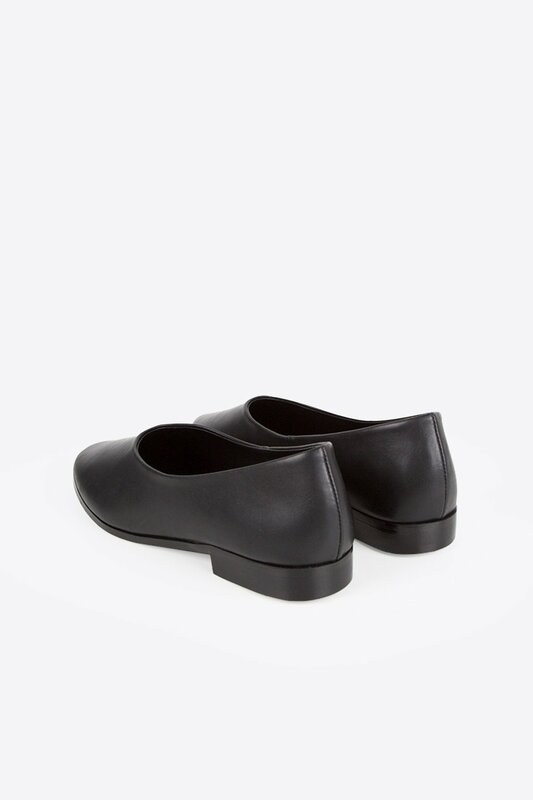 Crafted with minimal design and classic accents, these flats feature a simple rounded toe and slight heel. 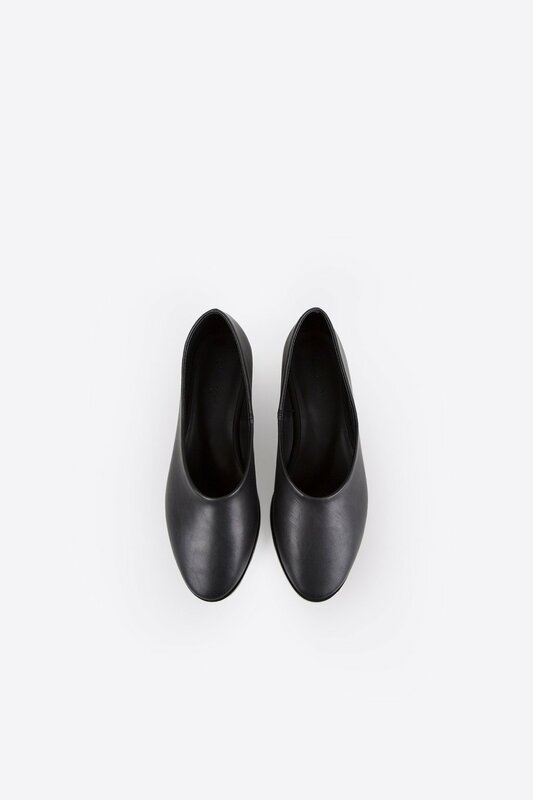 Consisting of vegan suede, this pair of shoes is incredibly versatile for styling and everyday wear. 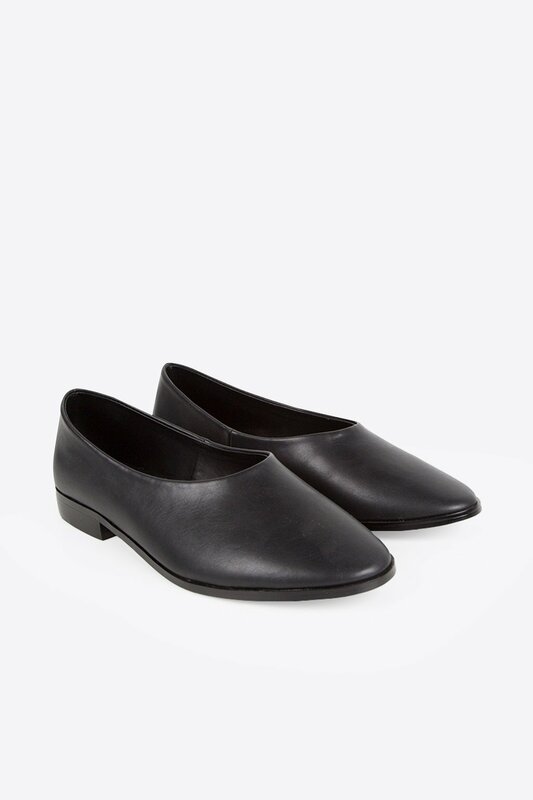 Try pairing with wide leg trousers for combination look of contemporary comfort.